Do you work at a place where you need to be properly dressed in formal clothes on an everyday basis? If your answer is yes, we suppose that handling your laundry would be a task that you would find really exhausting and time-taking. Even if you send your clothes to the nearby laundry service, the monthly bill may at times make a hole in your pocket. The primary thing that makes or breaks your look is whether your clothes are properly ironed or not! But, if you iron your clothes at home, we think that you would require waking up a bit early every morning to get the job done. To bring about a change in the way you need to handle your laundry and to keep it all a little simple, we have lined up the Best Garment Steamer available on the market, which would help you get all those crumples and wrinkles off your clothes. In addition, we would like to tell our users that we had screened the 5 top options after going through several models on the market; hence, quality won’t be an issue when you choose from the below-given choices. Are you often in a hurry to leave for office? The WisTec Garment Steamer is going to assist you to eliminate the creases of soft toys, cloths, bed-sheets, curtains, etc. pretty smoothly and quickly. Since this garment steamer’s Steam Head Plate has been crafted out of steel, it will deliver comfortable horizontal ironing in comparison to the other steamers on the market. Once you fill up the water tank, you may be able to iron around 5 – 7 clothes in one go that would help in saving quite some time. In addition, this unit is pretty garment-friendly and isn’t going to harm your garments in any manner. 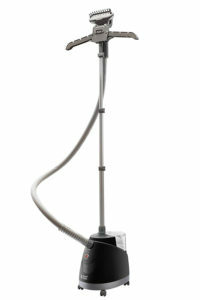 Are you unable to find an effective yet reasonably-priced garment steamer on the market? 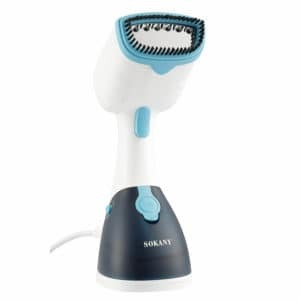 Here we have the powerful 1200W handheld steamer from Sokany that is really compact, quick in operation, and effortless to use. At a power capacity of 1200W, this handheld garment steamer takes solely 30 seconds to get heated up and the bigger water tank offers nearly 15 minutes of a dominant gush of uninterrupted steam. Apart from that, it comprises an innovative leak-proof design, which is going to allow the user to get his or her clothes ironed in any orientation like hanging vertically or lying flat. On the market, you might find plenty of brands offering appliances and gadgets to make your household chores easier and comfortable. 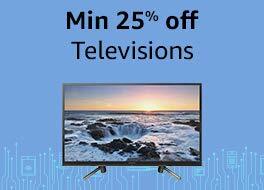 But Usha has always been a touch apart as it comes with products that are manufactured keeping the Indian market in mind. Similarly, the Usha Techne Direct garment steamer is an ideal companion for keeping your clothes in a quality condition by offering a wrinkle-free, smooth finish. This handheld garment steamer is completely safe to maneuver on your garments and eliminates lint appropriately. Besides, this appliance moreover assists in removing the germs out of your garments irrespective of the type of cloth used in their fabrication. 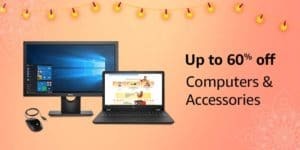 Philips has been a brand that has always been pretty impressive with its products be it their grooming range, kitchen appliances, or other home appliances. This time they have come with a garment steamer that would help you to steam your garments with a whole lot of ease like you see in the big brand shops in the mall. The Philips 1600W Garment Steamer has 5 different steam settings on offer so as to take care of every single kind of garment in your wardrobe. The GC523-60 garment steamer has been equipped with the 1.6L detachable water tank that would help you perform steaming for the clothes you washed after a week-long gap. Are you searching for a standing garment steamer at a reasonable price? Russell Hobbs has you covered with its RGS1500-PRO garment steamer, which is going to be steam-ready in only 45 seconds owing to the 1500W power capacity. This standing garment steamer has been equipped with an adjustable collapsible pole so as to keep your garment within your reach. In addition, the automatic shut-down feature and the 6.5 feet long power cord make steaming even more convenient and expedient. It also comprises the patented draining plug for easier maintenance and ensuring neatness. As you must have distinguished the kinds of garment steamers available on the market along with the specifications that they have on offer, we ruminate that selecting a model that would suit your requirements and preferences is going to become relatively easier both online and offline. Even the handheld garment steamers that we have described or mentioned above provide you with the support of both vertical and horizontal usage. Above all, we have listed down a garment steamer from every single price range; therefore, every single user is going to find a model inside their budget. 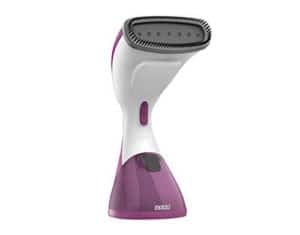 Apart from all that, if even after going through the detailed description and comprehensive garment steamer reviews, any user hasn’t been able to make up their mind so as to which model would suit their requirement, then we would suggest them to go with our personally suggested product to get the top value for their money. 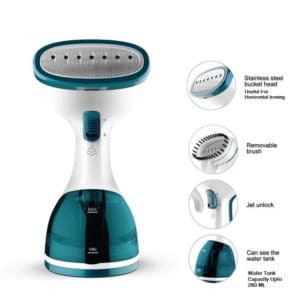 The garment steamer that we would recommend our users to purchase is the WisTec Techne Direct 1000-Watts Handheld Garment Steamer as it comes with the most desirable features coupled up with a compact design for easier maneuverability and usage. Why should you choose a Garment Steamer over and Iron? 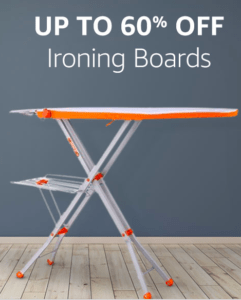 Whilst using steam or dry iron, you require setting up the ironing board so as to get the clothes pressed. However, a garment steamer solely discharges hot steam that assists in calming the cloth fiber. The primary thing that you require is a hanger on which you may suspend your piece of clothing. Whilst using an iron, you would require pressing your clothes; you don’t require even touching your cloth whilst making use of a garment steamer. The continuous steam that is discharged would help to get the wrinkles out by just rolling it above the garment for a premium finish. Whilst you iron your clothes, even the slightest of mistakes can make your favorite dress unfit to wear. All of us are going to agree on the fact that there are some materials that just can’t be or are tough to iron such as a printed dress, sweater, satin, polyester etc. Ironing such clothing materials might mutilate the dress’s quality. Whilst utilizing a garment steamer, there isn’t any prospect of the fabric getting burnt or damaged. Particularly considering the sleeves or pleats, a garment steamer might perform a decent job. When you have to get ready for any event, the garment steamers would be a decent choice. They are going to take lesser time to de-wrinkle your clothes. Correspondingly, they are lightweight and compact in nature; hence, pretty easy to maneuver over the clothing. Whilst iron might accurately turn your garments evenly pressed, conversely, a garment steamer not just turns them free from wrinkles and simultaneously helps you to keep the garments out of any type of odor or dust. Whilst the dry iron has been utilized for decades now, selecting a garment steamer in place of iron is going to keep all the stress and hassle of ironing at bay. However, the sole aspect that requires being stated here is the fact that a garment steamer might be able to turn the dress as crisp when compared with ironing. So, you can make up your choice according to the kind of dresses you prefer wearing. CAUTION: The user should refrain from touching the steam head during or after utilizing the garment steamer and wait until it cools down. 19 Why should you choose a Garment Steamer over and Iron?